Whether you're a regular gym goer, a power-lifter, an Olympic athlete, or a participant in Zumba once a week, you cannot out train poor nutrition. You've probably seen it a thousand times, it's 30% workout, 70% nutrition, or it's 20% workout, 80% nutrition. It's 100% workout and 100% nutrition. Let's explore a few key factors and look at the reasons to why your performance levels could be suffering. Build – repair – recover. Proteins are arguably the most important part of your nutrition. Protein provides your body with 4 calories per gram, and are made up of 20 amino acids. There are 9 essential amino acids that your body is unable to create, therefore you must consume these through food. If your body doesn't have sufficient protein intake then do not expect your body to give you 100% back. 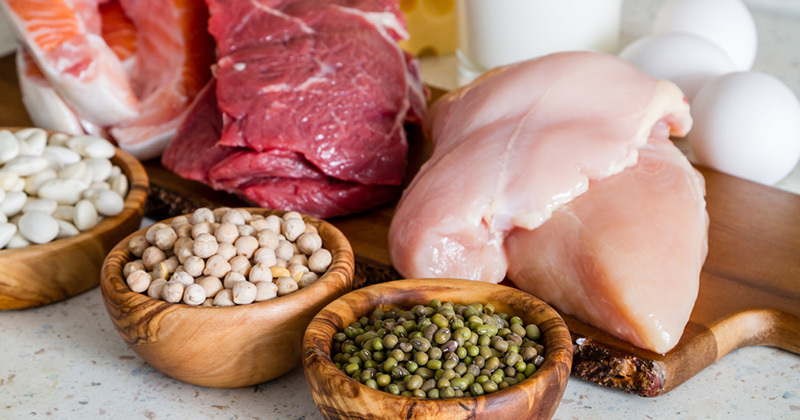 Failure to ingest enough protein daily can lead to things such as muscle degeneration, improper cell function and the feeling of hunger (protein dominant foods keep you feeling fuller for longer). However, I'm not here to scare you and I'm certainly not saying you must commit to the lifestyle of a bodybuilder, but everybody needs protein in their diet. Go to the gym three times per week? Attend regular spin classes? Go on long hikes? No matter what your goal, if you're an active person you need protein to recover, rebuild and repair your system. Just because you're not squatting or bench-pressing twice a week does not mean you must neglect your intake. Fair enough, everyone is different, and therefore some of us will need higher or lower amounts compared to others. Let's put it into simple terms. If you go to the gym regularly for just general health and that feeling of satisfaction, aim for 0.8-1 gram per pound of bodyweight. On the other hand, if the gym is your life and you treat it like your second home, then I would advise anywhere from 1-1.2 grams per pound of bodyweight. The higher end of the spectrum would be aimed at people who are in a calorie deficit (aiming to lose weight). 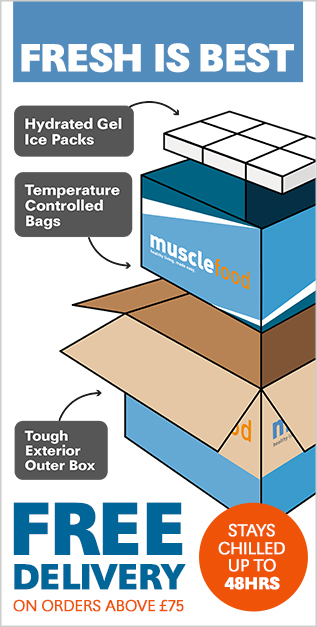 As there is more chance of them having muscle breakdown due to a lower calorie intake. 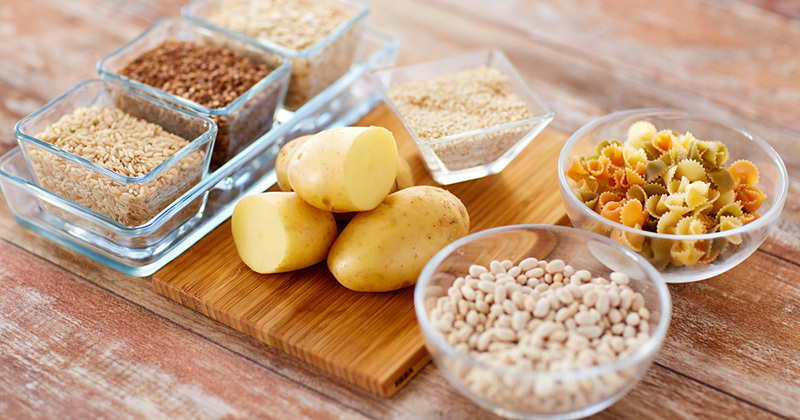 Carbohydrates, like proteins, provide your body with 4 calories per gram. They can be separated into two types, complex carbs and simple carbs. Slow releasing compared to fast acting. For a sustained energy release, I'd always suggest the complex option (oats, wholegrain rice, potatoes). As for the fast release, I'd always advise to get this naturally in the form of fructose (fruit - bananas, berries). Carbohydrates will not make you fat. Fact! Over eating and consuming too many calories will be the reason for weight gain. I promise you now these statements are false. Yes, you can drop your carbs to help with weight loss as this will lower your total calorie intake, and yes, you can avoid carbs after 5pm, if you've already hit your carbohydrate intake for the day. However, carbs are not a sin, as you need this macronutrient in your system for your energy levels, brain function, health of your organs and lastly, your sanity! I'm sure we've all been a little ‘hangry’ at times. Carbs usually solve this problem. Feel very tired and lethargic in the gym or a fitness class? Have you been neglecting your carbohydrate intake? Don't let your workout suffer because of something so simple. However, if you still feel that strongly about over eating carbs, then at least consume them at the most important times of the day! Your body will thank you for it! The first meal of the day, my favourite. To keep you from a mid-morning energy crash, ensure you consume some form of complex carbs. This could be oats, whole meal breads or high fibre low sugar cereals. This will provide your body with a slow release of energy and will tie you over nicely until your next snack or meal. Alongside this, some form of fast acting carb would be ideal, due to the fact you've been in a fasting state whilst you're sleeping. Get your system going and metabolism roaring with some natural sugars, berries, bananas, honey, take your pick! Pre and post workout. It's time to fuel and then re-fuel your system. Failing to do so and your gym workout, fitness class or outdoor activity will suffer. Consume complex carbohydrates 1-2 hours before you exercise, this will give you the prolonged fuel needed to perform to your best ability. Some simple carbs could also work with you here as an immediate energy source. Hence you see a lot of people consuming a banana before exercise! Now, for the crucial post workout nutrition. This will be the time when your body is depleted and the optimal time to refuel your system! Your body's glycogen stores (stored energy) will be drained, assuming you've crushed your workout! Therefore, this needs replenishing! As your body is depleted, it will use and digest these extra carbs a lot better. Fuel your body with what it needs and it will reward you. Fail to do so or consume too much and the outcome will be negative. It's true and it links back to my previous point about carbohydrates. Over eating will make you gain weight, not a particular macronutrient! 1 gram of fat will provide your body with 9 calories. More than double than that of proteins and carbohydrates. Which is perhaps the reason to why fats get such a bad name and is seen as a 'weight gaining' macronutrient. Yes, eating too much fat might contribute to weight gain but only because it's pushing the overall calorie intake above your maintenance level of calories. The key point being you've entered a calorie surplus, not because you've eaten some fat! I would recommend you get at least 20% of your daily calories through fats. 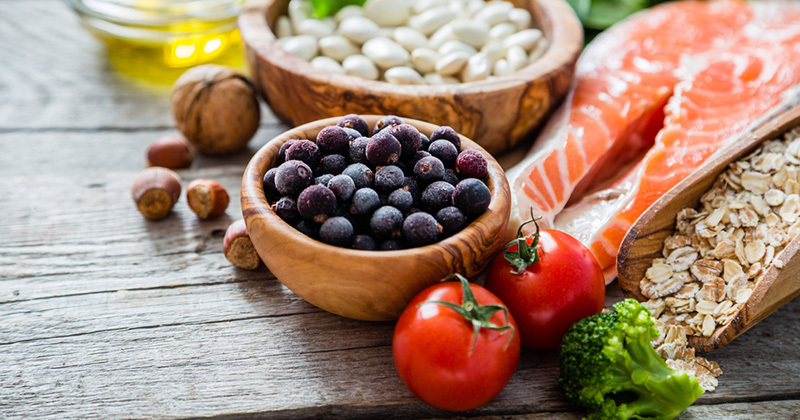 Foods such as nuts, avocados, olive oil, peanut butter and oily fish. Try and get the bulk of your fat intake from monounsaturated fats. 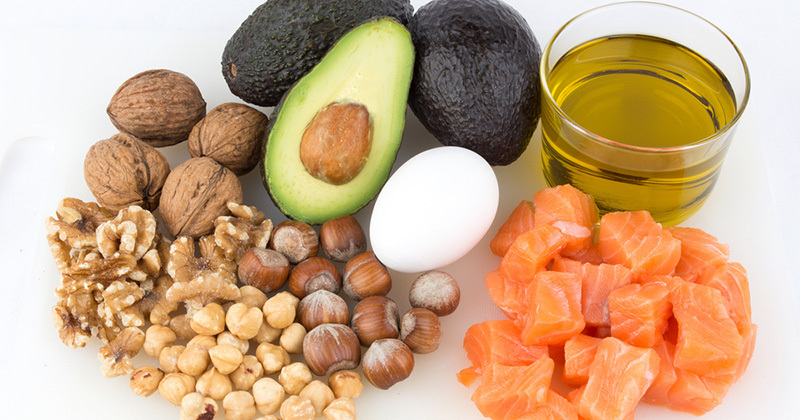 These 'good fats' will help in lowering cholesterol, reducing the risk of heart disease, decreasing the risk of strokes, and will also keep things like your skin, hair and nails in good condition. Whilst providing protection for your organs, fat will also be a backup energy source when your carbohydrate stores are depleted! Don't believe all the myths you read. Fat is essential for your body, performance and will not make you fat, unless you eat tons of it! Just don't have three pots of peanut butter a day! A dehydrated muscle is an unhappy one. 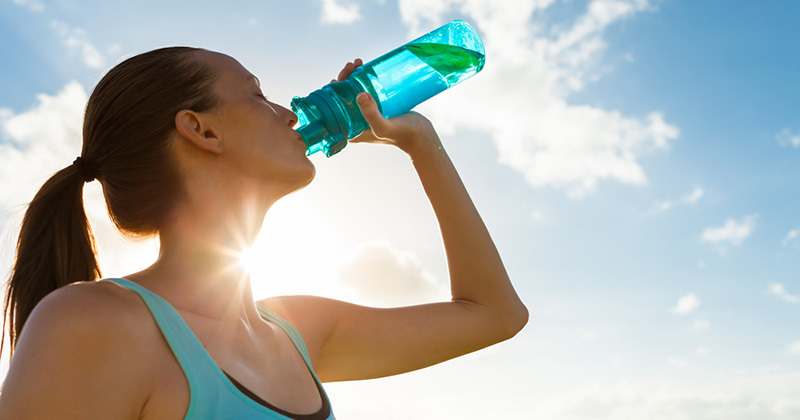 Headaches, fatigue, cramps and a lethargic mood can all be strong signs of dehydration! Something that's so simple to correct could be affecting your performance. 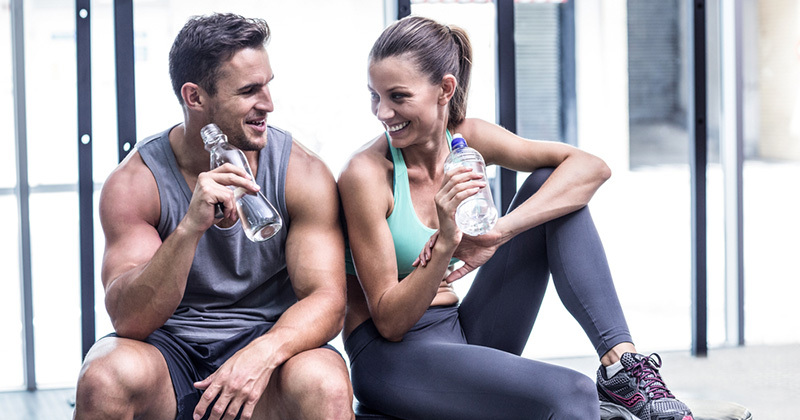 Water helps with the transportation of nutrients, helps regulate your body's temperature and can also be a very useful tool when in a calorie deficit (aiming to lose weight) as drinking water can keep you feeling fuller for longer! Firstly, drink when your body will need the fluid the most, and secondly, sip water throughout the day. During the night, your body hasn't received any fluids whatsoever for a possible 6-8 hours whilst you sleep. Therefore, as soon as you're in the kitchen grab a pint of water. Before you hit the gym, another pint, to prepare and fuel your body. During exercise and post exercise are crucial times to get some fluids on board and rehydrate your system. Lost fluids through sweat need to be topped up otherwise you risk more fatigue, headaches, dizzy spells and a very tired mind! Get on top of your fluid intake and I promise you'll notice improved brain function, be more alert, have higher concentration levels and just seemingly have more energy! All the points above work together and do make this into a very healthy and enjoyable lifestyle. However, like I said in my protein section, you do not have to commit to the lifestyle of a bodybuilder and you do not have to make the gym your second home. Neither must you religiously count calories and track macronutrients to achieve results. I understand that some people do want to count calories, proteins, carbs and fats to get the best results humanly possible. However, if you're just wanting to be a little fitter, then just change a few things in your daily routine to help you lead a healthier, happier and more active lifestyle. Eat a little more protein, be aware of portion control, eat your vegetables, snack wisely, stay hydrated and be a little more active. Make this into your lifestyle, not a temporary fix and your body will reward you! 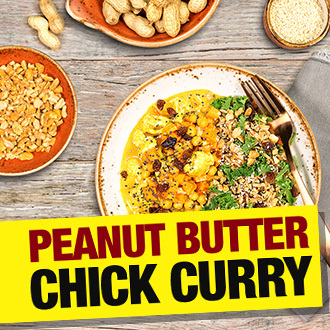 NEW Peanut Butter Chick Curry by the Live Clean meals team! Vegan and perfectly balanced. 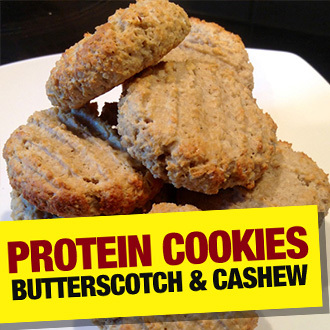 Butterscotch and Cashew Butter PROTEIN Cookies - make your own at home!